File photo shows experts of an Austrian art forwarding company holding one of the world’s largest gold coins, a 2007 Canadian US$1,000,000 ‘Big Maple Leaf’. 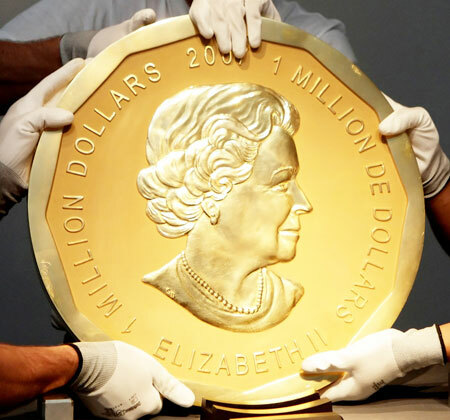 BERLIN: Four Berlin men go on trial Thursday charged over the spectacular museum theft of a giant commemorative gold coin called the ‘Big Maple Leaf’ and valued at 3.75 million euros (US$4.3 million). Police have found no trace of the 100 kilogramme Canadian coin since the elaborate late-night heist in March 2017 from the German capital’s Bode Museum, located close to Chancellor Angela Merkel’s apartment. Authorities presume the nearly pure-gold treasure, with a face value of one million Canadian dollars, “was either cut into small pieces or taken abroad”, said Berlin police at the time. The three chief suspects in the theft arrested in July 2017 are brothers Ahmed R, 20, and Wayci R, 23, and their cousin Wissam R, 21. If found guilty of theft, they would face jail terms of up to 10 years. Berlin’s B.Z. daily and other German media reported they are members of the Remmo extended family with roots in Lebanon, several of whose members have been linked to organised crime. 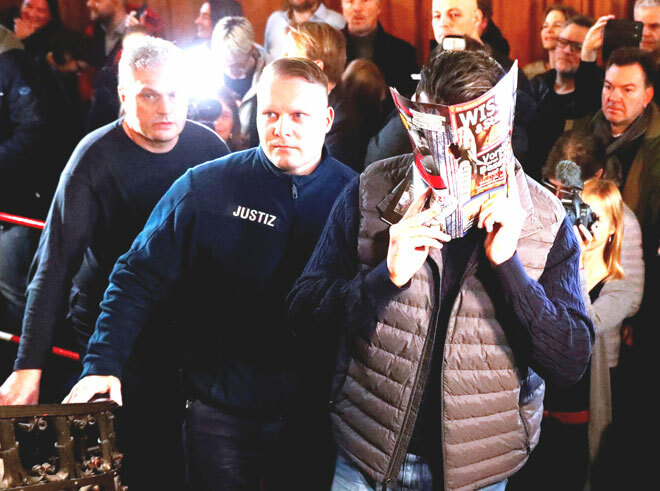 The city’s police last year targeted the Remmo clan with the seizure of 77 properties worth a total of 9.3 million euros, charging that they were purchased with the proceeds of various crimes, including a bank robbery. The ‘Big Maple Leaf’, minted in 2007 with a portrait of Queen Elizabeth II, is considered the world’s second-largest gold coin. It was on loan from an unidentified collector to the Bode Museum, which bills its large exhibition of coins and medals as a “chronicle of human history forged in metal”. They broke in through a window and used a rope, wooden beam and a wheelbarrow to lift the coin — which has a diameter of 53 centimetres — onto adjacent elevated urban railway tracks. The coin was probably damaged when the thieves dropped it twice — once on the tracks that pass the museum and cross the Spree river, and again in Monbijou park on the opposite river bank, from where they took it away in a car.